By a strange twist of Fate, today’s movie happens to be the sequel to yesterday’s epic adventure. Lee Horsley, star of The Sword and the Sorcerer, was not available, so the producers did what producers always do in these circumstances: they cast Kevin Sorbo. 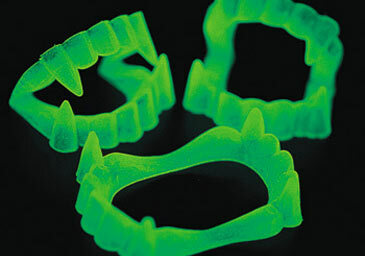 It’s only fair to warn you that this movie is rated R, full of half-naked vampire women and a few guys with fangs. The plot of this train wreck is a hopeless muddle that combines guys with swords, girls with fangs, a queen about to lose her realm, and the ultimate threat: Vampire Queen Xia, roused from the sleep of centuries by treasure hunters stupid enough to break into her tomb. Gosh, does this sound familiar? It should. 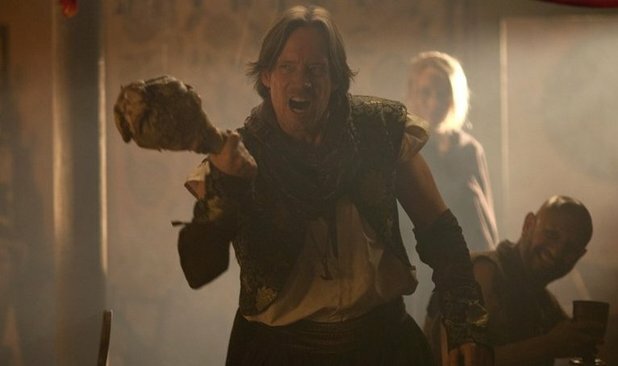 Kull the Conqueror starred Kevin Sorbo as he went up against Akivasha, the demon queen. The ruler of Abelar who originally imprisoned Queen Xia is long since dead, so she goes after the current royals. Queen Ma’at sends her half-sister Princess Tanis off to Douras, some landlocked equivalent of Tortuga where all the outlaws stop off between crime sprees. Tanis is looking for her father, but has to settle for her half-brother Aedan. (This is where Kevin Sorbo comes in.) She finds him thanks to the pendant he wears, an exact match of the one given to Tanis by Queen Ma’at. Aedan is drunk, rowdy, and not really in the mood for a heroic quest. Does this shot look familiar? In The Sword and the Sorcerer, Talon uses a big joint of meat as a club against Cromwell’s guard when the guard is about to attack Princess Alana. So the princess and the outlaw waste valuable time finding one half-sister Malia, and then another, Rajan, who brings her daughter Alana along for the ride. The man who fathered these five must have been a cross between Rob Roy and Don Juan. Thanks to him we very nearly have the sword & sorcery equivalent of the Magnificent Seven. Maybe I’m being too picky, but if Douras is knee-deep in outlaws, shouldn’t Aedan be able to round up a few mercenaries? Women can be just as dangerous with a sword, heaven knows, but if Queen Ma’at’s throne is at stake, Tanis better bring back enough manpower to secure the throne and take out Queen Xia. She looks like Magenta with a bad hangover. But wait! There’s more! Princess Tanis has yet another half-sister, a servant girl named Kara. While Tanis and Kara share the same father (who must have knocked up almost every woman he ever met), Kara’s mother is Queen Xia! GASP! Queen Xia turns Kara into the equivalent of a daywalker so Kara can hunt down Tanis and prevent her from rallying any serious opposition. When Our Heroes encounter Queen Xia and her bloodthirsty minions, poor Rajan and Alana end up joining their side. When I talk about these movies, I do post the occasional Spoiler Warning if I think you might really want to see what happens. Let me save you from making that mistake here. Movies used to be 90 minutes long. This one is listed as being 86 minutes. The actual movie is only 70 minutes. 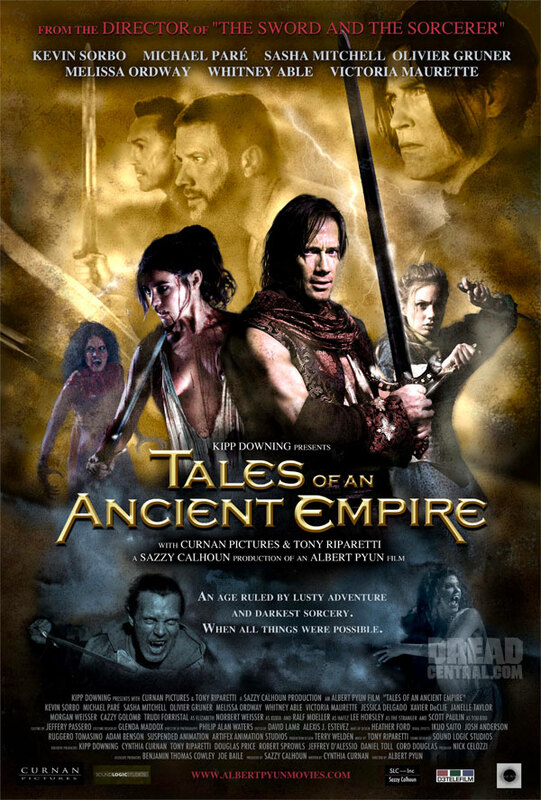 The last 16 are devoted to “Coming Attractions” of the third movie in this supposed trilogy, Tales of An Ancient Empire: Red Moon. You know what this means, right? It means Our Heroes don’t drive a stake through Queen Xia and her minions then ride off into the sunset. The movie has the chopped-off ending that’s the sure sign of a badly planned sequel. Lee Horsley made an appearance in this film, listed as “The Stranger.” I’ve looked high and low for a shot of him in the movie, but I can’t find one anywhere. Perhaps that’s for the best.